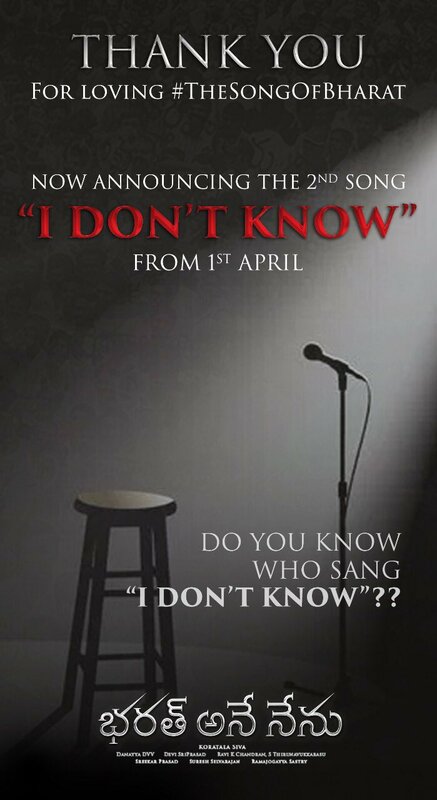 Makers of Mahesh Babu starrer ‘Bharat Ane Nenu’ are teasing the audience with an interesting poster of their upcoming song ‘I Don’t Know’ which has marketing campaign mystery to it. 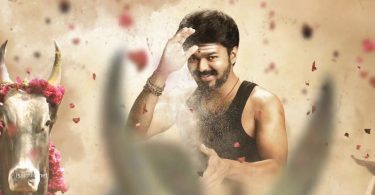 Makers want the audience to keep on guessing the name of the singer which will be officially released on 31 March 10 AM. Song will be out on 1 April and this will be the second of the album which looks to be rather precise than long. Title ‘I Don’t Know’ does sound a little awkard for a film of this nature but nonetheless. Their first audio ‘Song of Bharat’ was highly appreciated on the charts and went climbing the ranks for good one week till it was dropped by more music with some meaning associated to it. In the flagship hour of Mahesh Babu’s congratulatory career, he is delivering massive flops one after the other by simply not judging the screenplay right. He is investing his soul into each and every film by doing only one at a time but they are not landing up to the expectations of box office or critical analysis as ‘Spyder’ came as dead on arrival. Before ‘Spyder’ there was something of a film called ‘Brahmotsavam’ for which Babu rightfully apologized to people. he actually stood in front of a coward and said that it was a mistake on his part when no other superstar in the world would do so. He is self aware enough to realize that his film work mostly because of highly devoted fans who show up to watch his adventures on cinema anyways and than the content starts to work or not. He is playing the role of a politician in this film who wants to work for the benefit of the under privileged whose voices are never heard. Film comes out on 20 April, 2018.